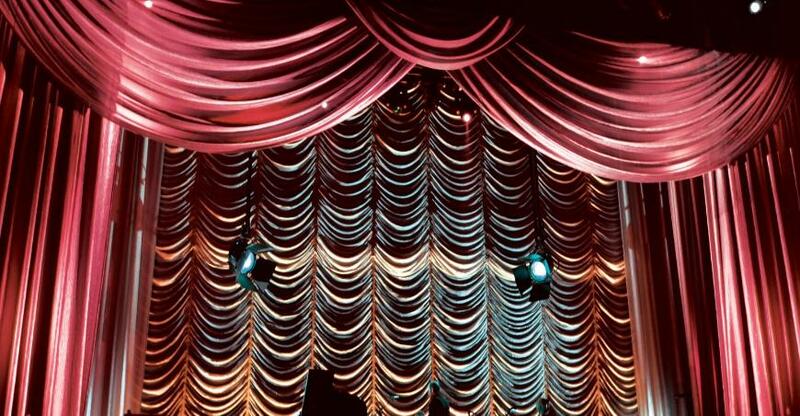 Whether you need new stage curtains or replacement theatre curtains for a concert hall or a school/college auditorium, we are here to help you. Our experienced consultants help you from the measurement of accurate curtain size to creation of the perfect drapery design. Our consultants will come to your location or you may come to us and select your preferred fabric from a wide range of samples. Some of the fabric samples that we have with us are stock wool serge, velvet, star cloth, gauze, voile and flame retardant stage curtain fabric. If you’ve already selected paint colours and flooring for your auditorium or hall, we can also show you the samples of complementary fabrics to enhance your interior decor. From deciding on fabrics, style of drapes, type of curtain track to fitting selection, we will advise you at every step so that you get the best solutions to suit your style and budget. Our expert design team is capable of managing the whole project from beginning to delivery on time. All you need to do is let us know your vision for the project and what ideas you already have in mind, and we promise you to work on your thoughts to give you the best result. Instead of overpowering a stage with our creativity, we believe in working around your ideas to provide you the desired design and style.